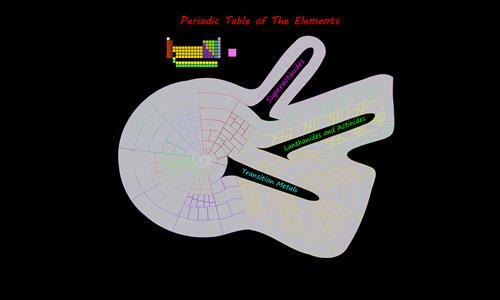 It's not your ordinary Periodic Table. Review by okasan on 11/3/2014. Loved this map. Lots of strategic possibilities (racing to the 10 bonus hydrogen spot might not be the best idea), bonuses that need to be carefully evaluated (and a good memory) plus constant vulnerability due to the diagonal attacking options, not to mention the spiral spots that are hard to defend. Two broken links, Niobum should connect to Zirkonium 94, and Unquadpendium seems to connect by a few pixels to Californium. Five stars from me. Review by Bane on 11/6/2014. very nice map! I appreciate the bonus objects being placed in order on the table. The map is very interesting and fun visually, that being said the borders are very ugly and take away from the aesthetics. Review by Nathan on 11/4/2014. Fascinating concept, but I'm less sold on its execution. There are lots of missing connections, and the map is fairly inconsistent on diagonal connections. Having hydrogen at the center is cool, but it is so ridiculously overvalued as to skew the rest of the game. I don't understand the bonus allocations. It appears that some elements are accorded spaces - and commensurate bonuses - according to their more (or less) prominent isotopes. But this certainly isn't the case throughout. Uranium, for instance, has a number of well-known isotopes but is represented only by a single territory. It also seems that the unknowns should be worth more as a group - probably about 13-14 to match the other territories' bonus army balance. Finally, why not add some superbonuses, e.g,. Lanthanides, transitions, etc.? Stylistically, why not make it in the shape of the actual periodic table? It would be easier to follow and more intuitively playable. Review by Rune on 3/13/2015. I'm very amused with the concept; however, it's more difficult then the other maps to gage the sections and the bonuses. Review by Nash on 11/3/2015. Was hard to work out where the bonuses were, may have been better if they were on the map as well. Cool idea though, wish I hadn't started on the superactinides bend. Review by MoneyMakingMitch on 3/8/2017. Review by Chessmat on 11/17/2017. Review by Flittering Night Beast on 12/31/2018. Review by Damion Strife on 11/3/2014. Interesting map, but a little difficult to figure out the bonuses. And some of the connections are not very easy to figure out.